Location of Saudi Arabia. Source: CIA World Factbook. 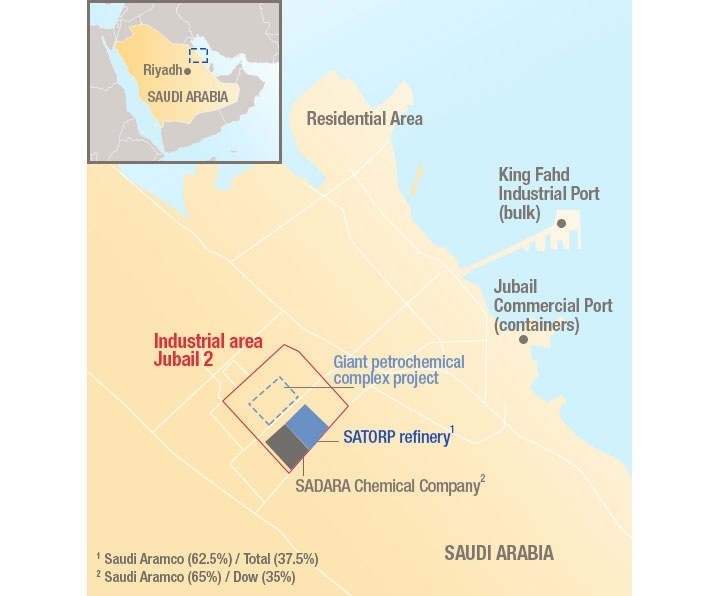 The complex will be integrated downstream of the SATORP refinery, a joint venture between Saudi Aramco (62.5%) and Total (37.5%) in Jubail, in a move designed to fully exploit operational synergies. According to Total, this world-class refinery, whose capacity increased from 400,000-barrel-per-day at its start-up in 2014 to 440,000-barrel-per-day today, is recognized as being one of the most efficient in the world. Site of giant petrochemical complex in Jubail, Saudi Arabia. Credit: Total.